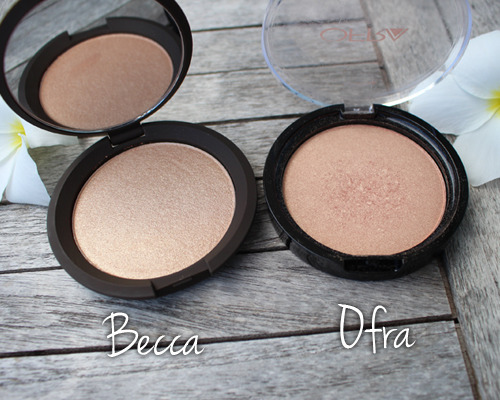 When I first got my hands on the Ofra x DupeThat highlighters, I fell madly in love with them. DupeThat an instagram account founded by beauty enthusisasts Kayla Eaton and Lindsay Richardson that suggests similar products of popular and cult fave brands. They came out with 2 shades: You Dew You and You Glow, Girl. I personally love the You Dew You for the dewy, sun-kissed finish on my morena skin. Every time I wear this highlighter, I get compliments and I get asked about the highlighter I’m using (oh, what a single brush stroke can do!). 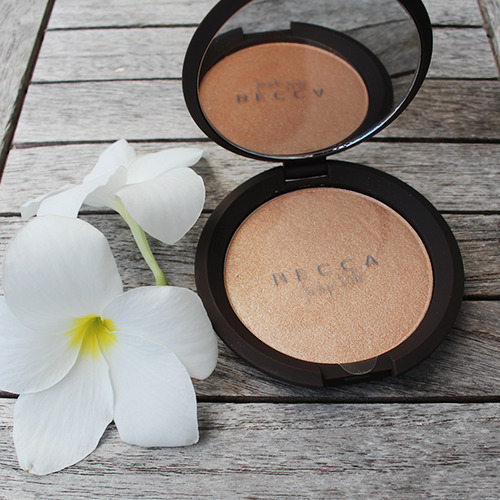 Recently, my beautiful sister Bea, who is based in LA, sent me Becca Cosmetics Champagne Pop highlighter from Sephora. This is a collaboration with beauty vlogger and pro makeup artist Jaclyn Hill. The packaging of this compact is gorgeous and sleek! Once I opened the product, my first impression was that it was a dupe for Ofra’s You Dew You! As you can see in the photos, the two highlighters are very similar. 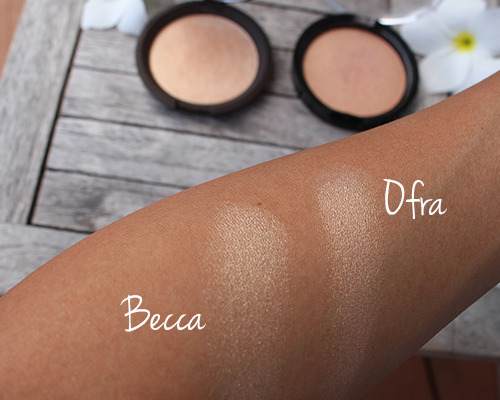 I noticed that the Becca highlighter is more gold and slightly more luminous with just one swipe, while the Ofra highlighter is a bit bronzy and gives a warm, sun-kissed glow. I totally love both products and if you are looking for a steal, the Ofra DupeThat highlighters are only P850! What do you think? Do you use highlighters? 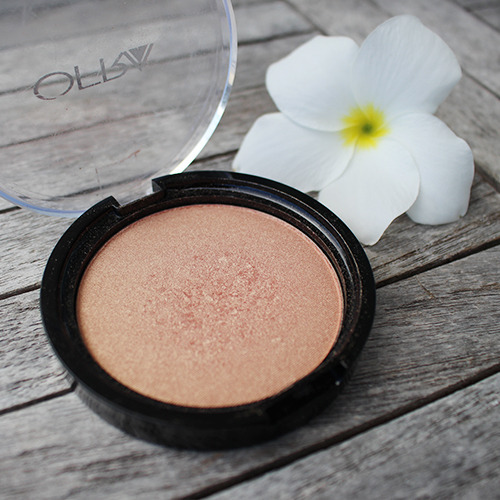 Share with us your go-to highlighter down below!